Hard toiling calls for a real break, and being in Thailand you cannot but take at least a two-day trip out to one of their famed coastal towns. Krabi, labelled as an upcoming Phuket, is a great bet, being less crowded but offering plenty of leisure plans. If you have your children along, Holiday Inn, located at Ao Nang Beach is the place to head to, where food and stay is free for them. A tranquil resort with beautifully landscaped gardens and a large pool, youa��ll find adults relaxing at the pool bar while watching the little a��uns play on the water slides. For more adventurous activities, step out on to the beach just across the road from Holiday Inn, and you can take a long-tail boat taxi out on various trips, depending on your time, either to swim in the beautiful emerald waters of Phra Nang beach or Rai Lay beach, accessible only by boat, or for longer day cruises (provided by several companies, notable among them, Andaman Day Cruise Company) to a choice of places, including Phi Phi Islands and Phuket. Whata��s more, you get to experience great Thai hospitality and their delicious cuisine as lunch is served on board. 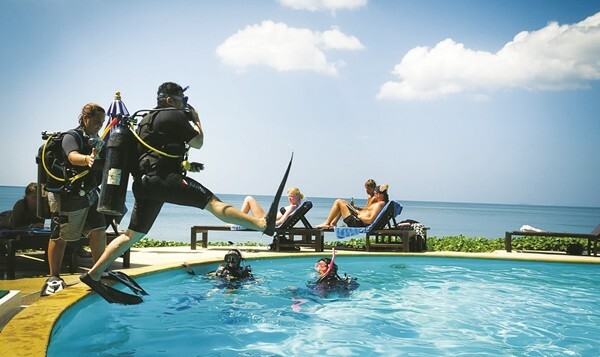 Kon-Tiki Krabi Diving & Snorkelling Center: Professionalsnorkelling guides take you and the family to discover colourful corals and marine life, and if youa��re game, you can take a quick course of scuba diving, get your gear on and see the Andaman Sea from the depths! 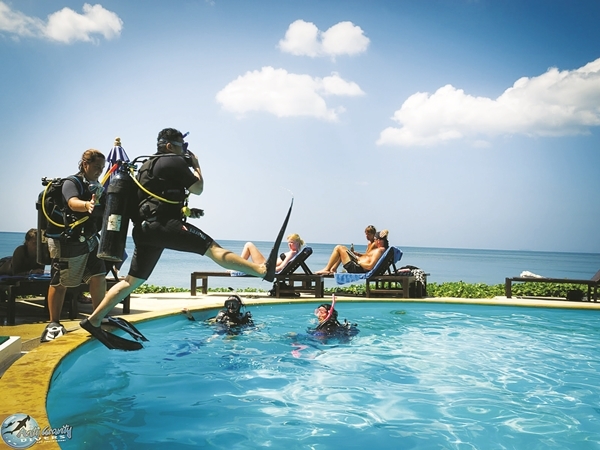 They offer diving tours everyday to Phi Phi Islands, Shark Point Sanctuary, Koh Haa Yai and Hin Deang/Hin Muang. Those interested can buy diving and snorkeling equipment at their store. Real Rocks Railay: Great for first-time climbers, you can book an intro course on rock climbing, and the staff take you on long tail boats to Railay beacha��s cliffs to climb. The half-day course costs 1,000 THB and includes hotel transfers and water bottles. Guided by friendly instructors, you can go with a pace you are comfortable with, and although ita��s tougher than it looks, the view from the top makes it all worth it.